1. My work life is crazy right now. In the best possible way - but it's still crazy. We are right in the middle of a huge CRP sign up, and software sometimes works and sometimes doesn't, and all I basically think about is rental rates, bid points, CP 1 or CP 2 and how many legumes and forbs do you have? We are getting to see a lot of our favorite producers and while they usually have a lot of hard, hypothetical & challenging questions, we're still glad to see them. But I won't lie - I'm looking forward to June 14th (the end of CRP sign up). You'll probably find me, and a crew from our staff down at Hamley's enjoying happy hour. Anyway, Clint's dad Dave was flying out of Boise that morning, so after I dropped him off at the airport, I ran into Target to pick up a few things to make myself presentable. 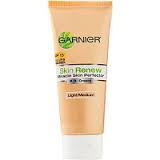 This BB cream was one of them - I'd seen a few reviews on blogs that were great, so I thought I'd try it out. Now normally I am strictly a Bare Minerals girl. I love that stuff. And it loves my skin. But at 9 am on a Sunday in Boise, my options for finding a store that carried it was pretty slim. So drugstore make-up it was. And this stuff is awesome. It's sunscreen and tinted moisturizer in one. Except it's heavier than a moisturizer (but lighter than a foundation) so it gives great coverage. It now lives in my makeup bag, and I use it under my Bare Minerals foundation. And I fully intend on using it solely on the weekends, when normally I'd just put a bit of moisturizer on and some mascara. 3. I'm headed to happy hour at La Palma with the Bunco girls just as soooooon as I hit publish. 4. This guy is the best. He'll always be my favorite thing. Love you babe. 5. I originally titled this post "Five things on Friday." Pretty sure that means I need to have two margaritas tonight, right? My little sister got me hooked on BB cream months ago and I'll never go back to foundation! I like the L'Oreal brand, but I'll have to give that kind a try! 2 beer-o-ritas...doctor's orders! A toast to June 16th!